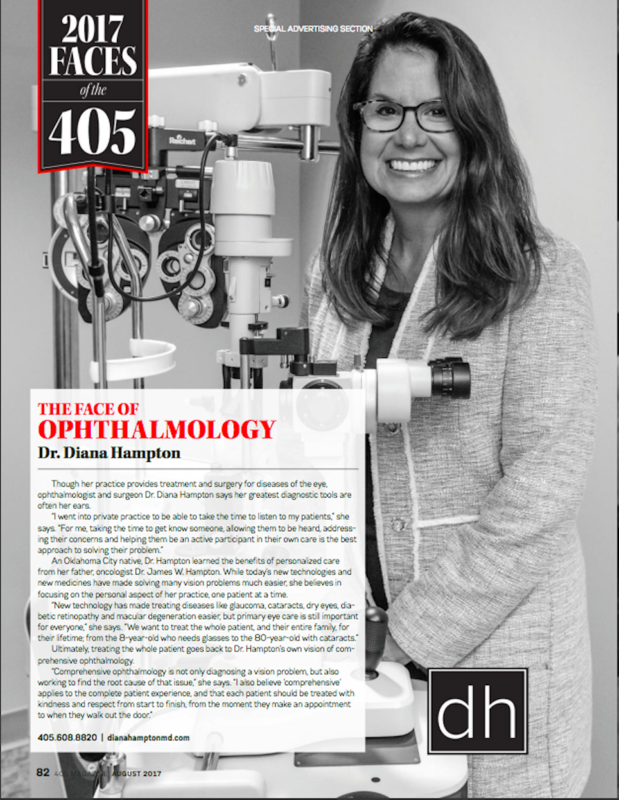 Dr. Diana E. Hampton MD is a board certified ophthalmologist who serves residents in Central Oklahoma from her office in Oklahoma City. She practices comprehensive ophthalmology and enjoys primary care for the eyes. The doctor offers routine eye exams and complete treatment plans for glaucoma, cataracts, dry eye, eye infections, macular degeneration, astigmatism, and diabetic retinopathy. Dr. Hampton offers comprehensive eye care from the annual visit to the prescription for glasses or contact lenses. Dr. Diana Elizabeth Hampton was born and raised in Oklahoma City. She attended Stanford University where she obtained her B.A. in Psychology with Honors in Humanities. She graduated from the University of Texas Medical Branch in Galveston achieving membership in the Alpha Omega Alpha Honors Society. She completed her Internship at St. Joseph’s Hospital in Houston, Texas and her ophthalmology residency at the Dean A. McGee Eye Institute of the University of Oklahoma. She joined the Dean A. McGee Eye Institute upon completion of her residency and then later went into private practice in the Oklahoma City area. 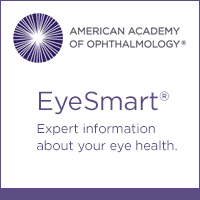 The doctor is an active member of many professional medical associations, including the Oklahoma State Medical Association and the Oklahoma Academy of Ophthalmology. She has two daughters. 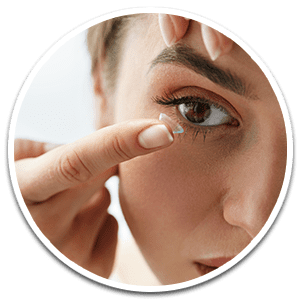 We now offer contact lenses! Our detailed eye exams and diagnosis will ensure that you get the prescription you need. Our prices are competitive too. Please call for a same-day appointment! Kelli schedules appointments and greets patients at the front office. She will assist you in getting referrals for your insurance plans when needed. Angie is our aesthetic technician. She performs ultrasonic nonsurgical lipo procedures and Infrared/LED facial treatments. Call her for more information on the products available in our office. We accept most major insurance. If you have any questions about your eligibility or coverage, please call our office. We are happy to help you! Please note that our practice does not take VSP or vision benefits. Dr. Hampton accepts medical insurance. Please call to inquire with any questions.